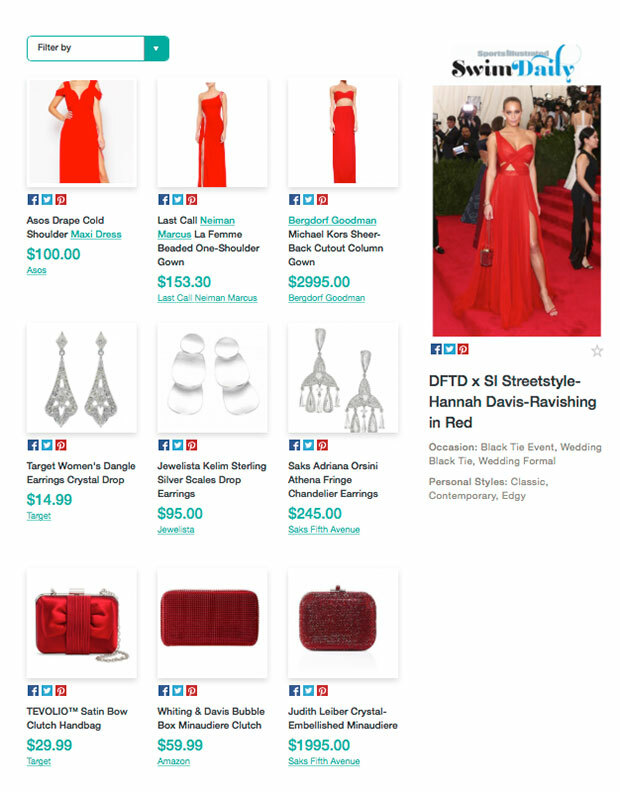 Create your own red-carpet-ready, Met Gala style with Dress for the Day! Models Hannah Davis and Emily Ratajkowski attend the 'China: Through The Looking Glass' Costume Institute Benefit Gala at the Metropolitan Museum of Art. If you found yourself suffering from serious envy after watching the ladies of SI Swimsuit strut down the red carpet at the Met Gala last week, you were not alone. As our girls stunned at the annual charity event at the Metropolitan Museum of Art, we instantly started wondering how we could recreate the looks of two SI Swimsuit regulars, Hannah Davis and Emily Ratajkowski. With totally different approaches to the event's dress code of "Chinese white tie," both ladies managed to totally nail it on the red carpet. How adorable were 2015 SI Swimsuit cover model Hannah Davis and former New York Yankees shortstop Derek Jeter during their first red-carpet appearance together? While we don't have a shortcut to help you find a romance as sweet as theirs, we can help you replicate Hannah's timeless formal look. Dressed in head-to-toe red, the secret to Hannah's look was minimalism. Shop Dress for the Day's roundup of gowns, statement earrings, clutches and more, to channel your inner Hannah at your next black-tie event. 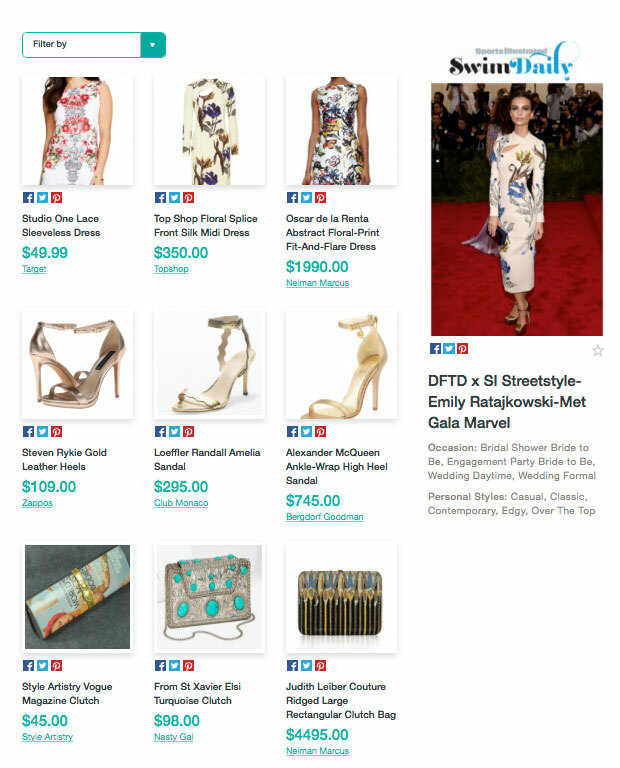 For a more budget-friendly, but still absolutely fabulous look, turn your eye to the one and only Emily Ratajkowski. Wearing an elegant frock from mass retailer Topshop, Emily proved that looking like a million bucks doesn't have to break the bank. Shop for similar pieces with Dress for the Day below! BONUS: See some of Hannah & Emily's best moments from SI Swimsuit 2015! Best dressed at the Met Gala goes to...the ladies of SI Swimsuit! Stun in joggers at a formal event like Chrissy Teigen on Dress for the Day!